Dental Assistants are an invaluable help to Dr. Meyer in all your care. The dental assistant is the second-most important person in the room - behind you, the patient! Now let's meet Shelly, Maria, and Diane. 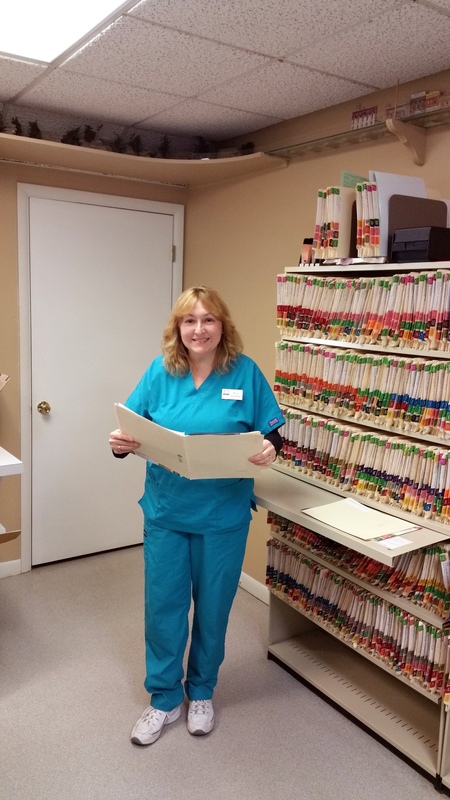 Hi, my name is Shelly and I have worked for Dr. Meyer since July, 2002. I am a New York State Licensed Certified Dental Assistant. This title allows me to do more expanded functions. One of the most exciting expanded functions of a Licensed Certified Dental assistant is the ability to place, condense and finish amalgam restorations, as well as place and cure tooth colored restorations. My favorite part of this job is working with the young kids that come in. I enjoy making their visit as easy and as fun as possible so that they want to come back. The dental assistants greet and seat you, take necessary X-rays, and do computerized charting of your dental conditions. They assist Dr. Meyer in setting up your customized treatment plan. Behind the scenes, they disinfect and sterilize your treatment rooms, and the instruments which go in your mouth. My name is Maria, and I have worked for Dr. Meyer since January of 1999. I do a lot of different things that are essential to the dental office. Usually, I'm helping assistants set up rooms, take x-rays, fill in supplies and sterilizing instruments to keep the schedule running on time. I help the hygienists by recording gum disease scores and also keeping her instruments sterilized. I do some behind the scenes work at the front desk by filing charts daily, getting charts ready for the next day, making copies, etc. In the lab I pour up models to be used for study models and the making of biteguards for patients who grind their teeth. When a patient loses a tooth from a denture I will add one back on. I enjoy looking at the final results of this, especially when the patient is very pleased. When the office is closed I do some office maintenance - taking care of plants, cleaning the office and keeping it looking presentable to patients. I enjoy music and dancing and spending time with my husband Dan. We have a daughter Theresa who I also like to spend time with when I get the chance! They prepare dental materials, fillings and adhesives. They can obtain impressions of your teeth, repair a broken denture, and so much more. 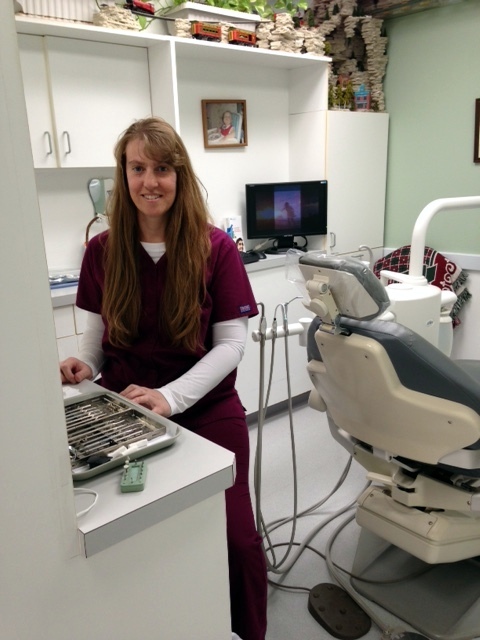 Our New York State Licensed Certified Dental Assistants can even place fillings for you. Hi, I'm Diane. I started working for the Meyer "family" in 2004. Since I came on board I enjoy interacting with all of our GREAT patients the best. I love helping people with their treatment plans. It's their first step towards good dental health. I also enjoy the challenges of working for a very busy dental office. I get to help Dr. Meyer with his procedures and since he has paid to further my skills as a Licensed Certified Dental Assistant, I've gotten to do more advanced procedures. I have learned so many new things and have been enjoying putting my advanced skills to work. I also get to work at the front desk, which is very challenging. There are so many phone calls, questions about treatment plans, checking patients out after their treatment is complete, managing the schedule, and then of course keeping up with all of the different insurance plans. There's a lot to keep up with to help the office run smoothly. We have an excellent team here and we all work together to help each other out. 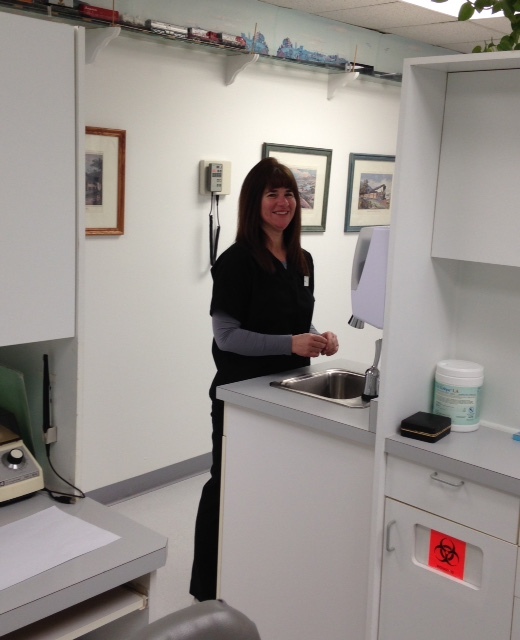 The dental assistant is the second-most important person in your treatment room - behind you, the patient!